THE GREAT WHITBY BAKE OFF!! Do you like to bake?? Do you have a sweet tooth?? Do you spend your free time in the kitchen making wonderful to die for sweet creations?? Is Whitby one of your favourite places to be?? 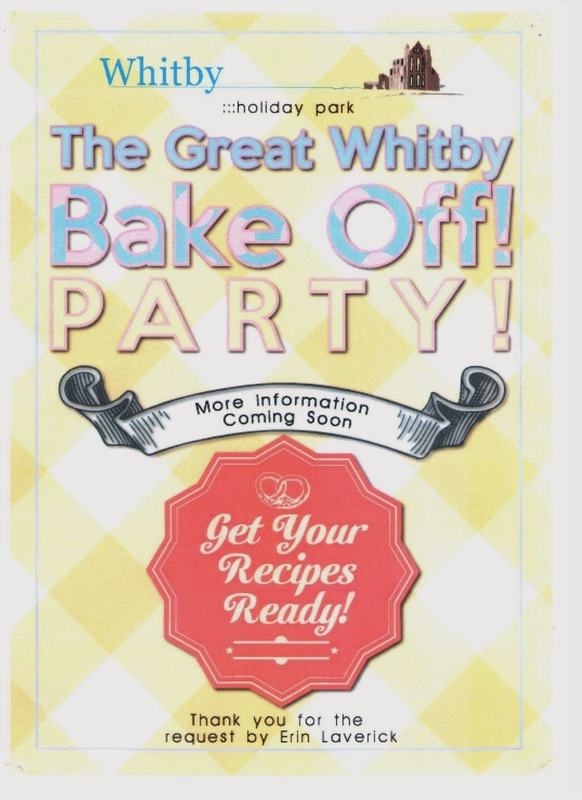 Then get yourselves to Whtiby Holiday Park for our GREAT WHITBY BAKE OFF!! It doesn't matter whether you are young or old, a novice to baking or a pro, we are looking for anyone and everyone to enter our wonderful competition!! The date as of yet is still to be decided, but keep watching our Facebook page and Twitter pages, as well as our website to find out when exactly we will be holding our BAKE OFF. You can bake whatever you like, we have no preferences here!! If chocolate cornflakes are your specialty, then melt away that chocolate and get those cornflakes completely covered. If fairy buns are more to your liking then don't forget to decorate them nicely!! We don't mind bright colours and decorations either so make sure every inch of that cake is covered!! It doesn't even have to be a cake. If your specialty is scones and you think that your scones are better than anyone else's then bring them on down!! We don't even mind if you want to bake some cookies. Whatever it is that you love to bake, get baking and bring it down!! Just don't forget to bake a few extra for us judges and workers in the office!! We're all partial to a slice or two of cake!!! !